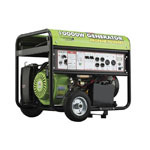 The All Power America APGG6000 6000-watt portable generator is great for emergency power at home, on the job site, while camping, traveling in your RV and much more. 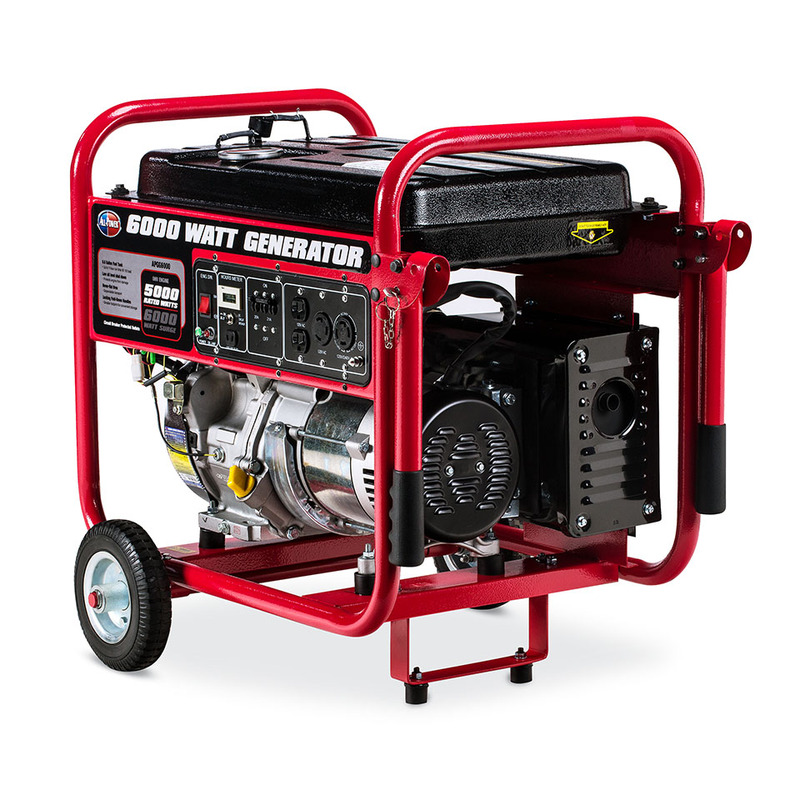 This generator has a 6000-watt surge, is rated at 5000 watts, has recoil pull start, runs 8 hours at 1/2 load on 6.6 gallons of fuel and has an operating noise of 76dB. 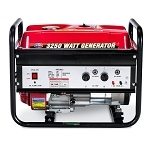 The generator has a total of four outlets including one 12-volt DC outlet with V style plug, two 120-volt 5-20R outlets (20 amp), and one 120-volt L5-20R (20 amp) twist lock outlet.This portable generator is great for multiple uses as it has all the basic capability and functions you are looking for. It features an 11HP 291cc OHV air-cooled engine, automatic voltage regulation, and low oil shutdown. It also comes with a wheel kit with no flat, pneumatic tires and a handle offering easy portability. 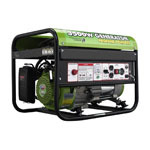 This portable generator is also EPA approved.. 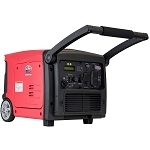 The All Power America APGG6000 6000-watt portable generator is great for emergency power at home, on the job site, while camping, traveling in your RV and much more. 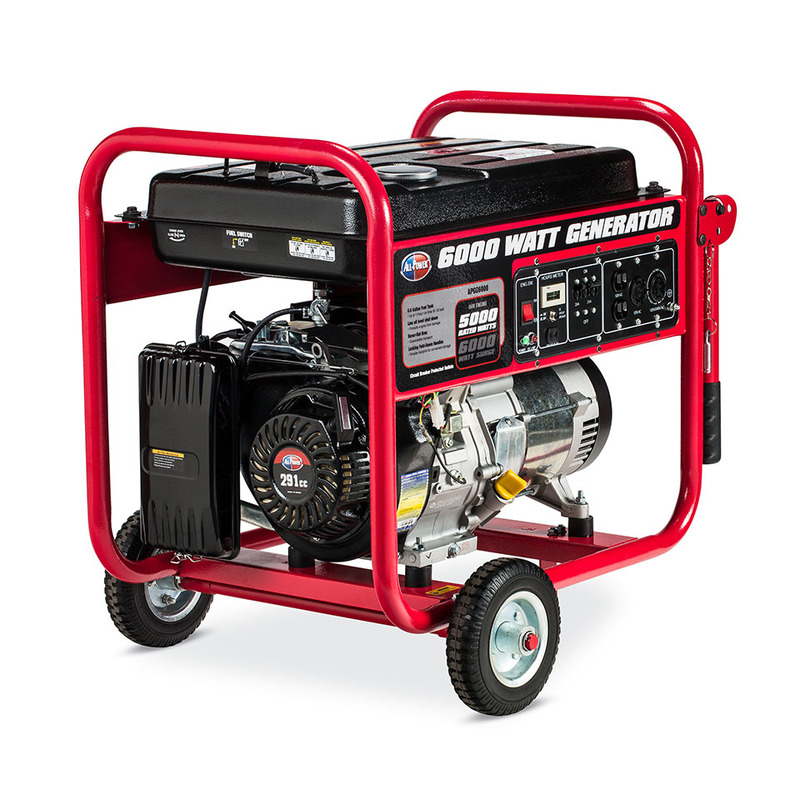 This generator has a 6000-watt surge, is rated at 5000 watts, has recoil pull start, runs 8 hours at 1/2 load on 6.6 gallons of fuel and has an operating noise of 76dB. 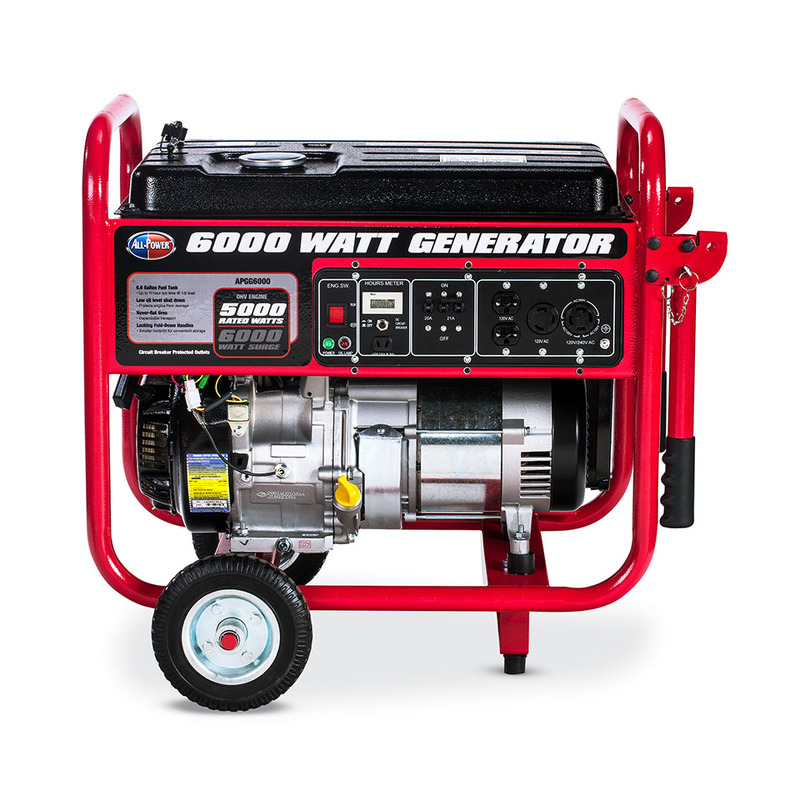 The generator has a total of four outlets including one 12-volt DC outlet with V style plug, two 120-volt 5-20R outlets (20 amp), and one 120-volt L5-20R (20 amp) twist lock outlet. Best thing I've bought in years. I've already used it twice and its worked flawlessly both times. The instructions were easy to read and understand. It's a little nosier then I had expected but for what it does, the noise level is easy to overlook. For anyone dealing with power outages on any kind of basis, this little generator definitely will do the job of keeping the lights on and the refrigerator running. Well worth the money! I have now had this generator going on 4 years. It still fires up immediately with the original battery. This HAS to be a Best Buy !! Received my generator sooner than expected. Easy to put together... basically just add the tires. The starter of the generator AMAZING!! Pretty much fill with gas and your good to go. Its a bit loud but POWERFUL! Was able to power my 2 bedroom house with no problems. Shipping was easy and fast. Weighs about 250lbs. Did my research on generators for about 6 months... glad I choose Allpower.... I actually feel more secure with this generator. DEFINITELY worth it! Not a bad generator for the price. So far I like it. 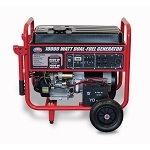 Doesn't have some of the bells and whistles like other generators though but for $530 its expected. If you want to use it to RV with you'll need an adapter. You'll also need an adapter to convert the TT-30R receptacle to a standard home outlet. You can find them here on Amazon for less than 20 bucks each. I put oil and gas in it and it fired up on the first pull. I wouldn't say it's quiet but it's not that loud and I don't think it would bother the neighbors if it was running all night during a power outage. Having to change the oil every 20 hours seems like it would be inconvenient so I plan on keeping a few extra quarts of oil in case I need to use it for an extended period of time. Easy to start,runs great so far on my first test run...let's see how it will hold up during hurricane season. Run Time at 1/2 Load (Hours) 11 Hrs. Fuel Tank Capacity (Gallons) 6.6 Gal.